Tom Petty, the famed and beloved rocker behind hits like “American Girl” and “Free Fallin,” had died at the age of 66 following a cardiac arrest. Petty was reportedly found unconscious in his Malibu home and rushed to the UCLA Santa Monica Hospital on Sunday night. He was put on life support, but after it was determined that he had no brain activity, the decision was made on Monday to pull life support, according to TMZ. 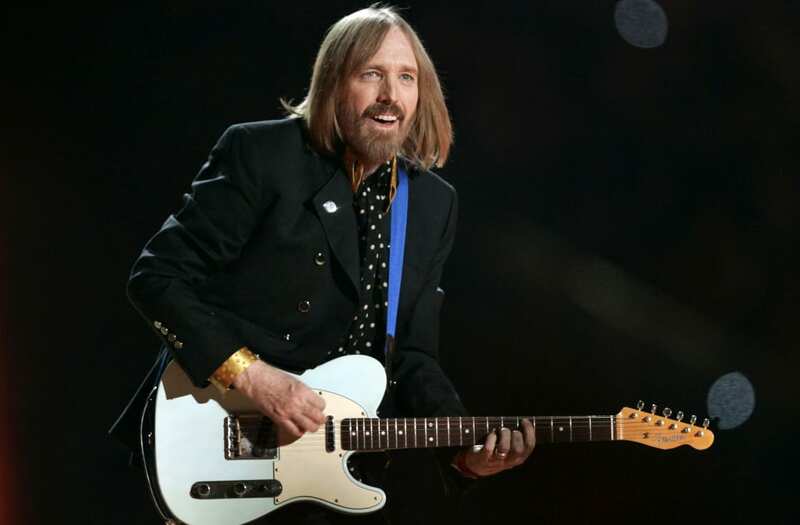 Petty’s music career began more than 40 years ago with a local Gainesville, Fla. band named Mudcrutch. The group fell apart, but two of its members, Mike Campbell and Benmont Tench, would soon rejoin their friend for a new (and much longer-lasting) venture: Tom Petty and the Heartbreakers. Tom Petty and Marilyn Manson at the premiere of 'Blow' at the Chinese Theater in Los Angeles, Ca. 3/29/01. Photo by Kevin Winter/Getty Images. After a break from the band in the early ‘90s, Tom Petty reunited with the Heartbreakers first for a movie soundtrack and then for their 1999 album “Echo.” Since then, the band has released three more albums and continue to tour around the globe: Just last week, they wrapped their 40th anniversary tour. In his 2015 biography, Petty opened up about the darkness that had plagued him since childhood. He was four years old when his father first beat him: “I remember it so well,” he said. “He beat me so bad that I was covered in raised welts, from my head to my toes. I mean, you can't imagine someone hitting a child like that.” His father died in 1999; they had never reconciled. The turmoil led to longtime depression, which Petty attempted to numb with heroin in the 1990s, he said. “The only thing that stopped the pain was drugs,” he explained, adding that using making the decision to use heroin was “stupid.” In discussing his past drug use, Petty worried, his biographer told the Washington Post, that he would be setting a bad example for others. I've just heard the news about Tom petty....I can't fully comprehend this news. Tom petty was everything to me. I'm devastated. Do something hopeful today. Listen to Tom Petty & while you do that DONATE anything you can to Puerto Rico. In Vegas? DONATE blood. "Into the great wide open, under the skies so blue..." Tom Petty, an American treasure. Thank you for the musical score to our lives. Tom Petty. Thank you for the rock & roll, and for getting me through, and for being the soundtrack to my life for the past 32 years. Petty wed his teenage-years girlfriend, Jane Benyo, in 1974. Unfortunately, the marriage soured as Petty’s international fame skyrocketed: A drug addict herself, Benyo reportedly became abusive as she allegedly verbally abusing Petty and the couple’s two daughters, Adria and AnnaKim Violette. Their divorce was finalized in 1996. In 2001, Petty married Dana York Epperson, whom he had first met a decade earlier at one of his concerts. They shared the Malibu home where Petty went into cardiac arrest. Don Lemon holds hands with boyfriend Tim Malone at 'Saturday Night Live' after-party: Pic!